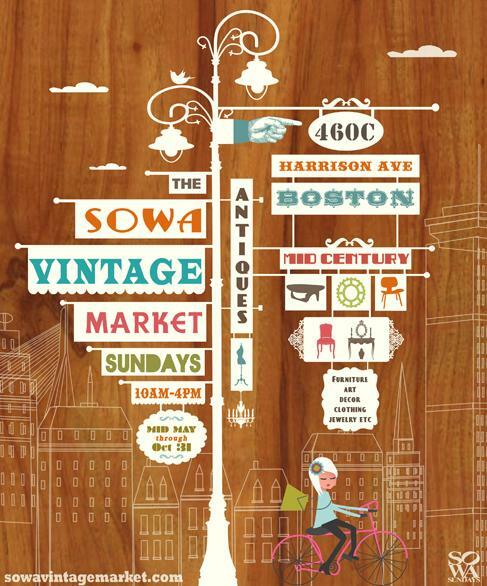 Join The Interior Design Society on Sunday, April 27th from 10:00 a.m. to 2:00 p.m. for a complimentary brunch at the South End’s charming eatery Aquitaine, followed by a Scavenger Hunt Design Charrette at the SoWa Vintage Market! Only 12 seats are available for brunch, so please RSVP to bac.id@the-bac.edu ASAP! After brunch, the group will walk to the market where the Scavenger Hunt begins! Please bring a sketch pad, pens, pencils, colored pencils, or markers, anything that will help your team present your fabulous finds to the group.